Easy breezy, Sunday stroll? 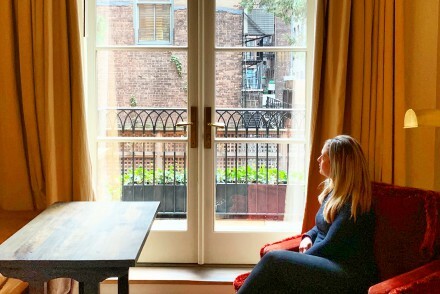 Yes, that would be my normal weekly agenda, but a Sunday during New York Fashion Week? Not so much. It was more like a Sunday, spent scurrying around to the shows. 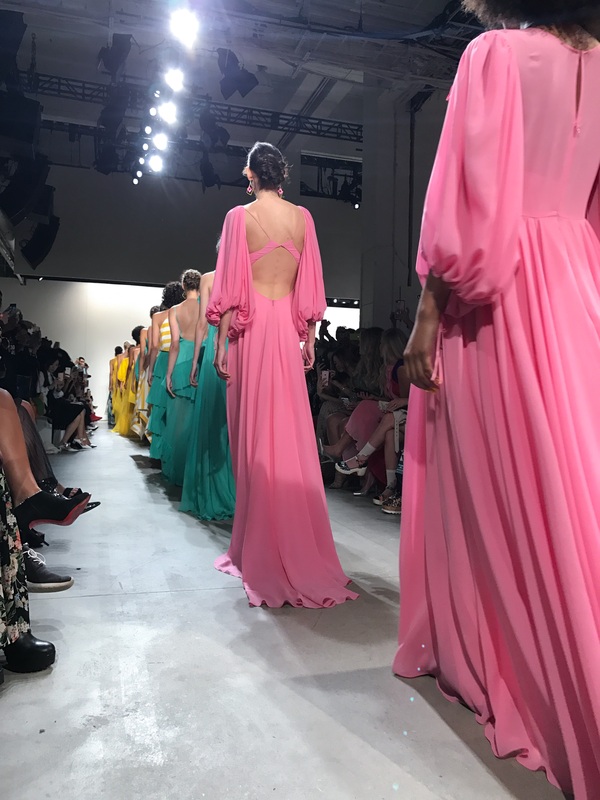 NYFW is the most anticipated week of the year, and the most important display of shows in the fashion industry. 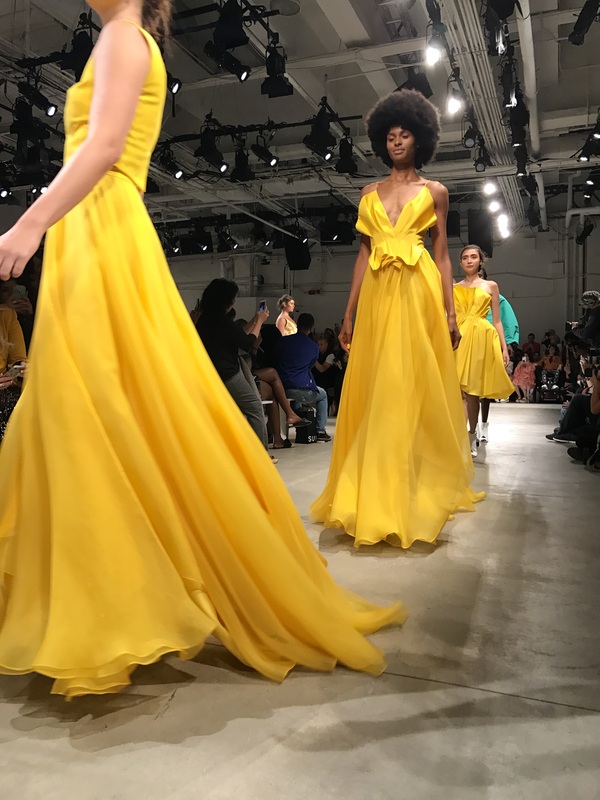 Each of the designers showcase their latest and greatest collections, to the editors, press, and style influencers of New York. The fashionistas are dressed to the nines, waiting to see and be seen. I was no different, decked in a fancy little layered look, from head to toe. 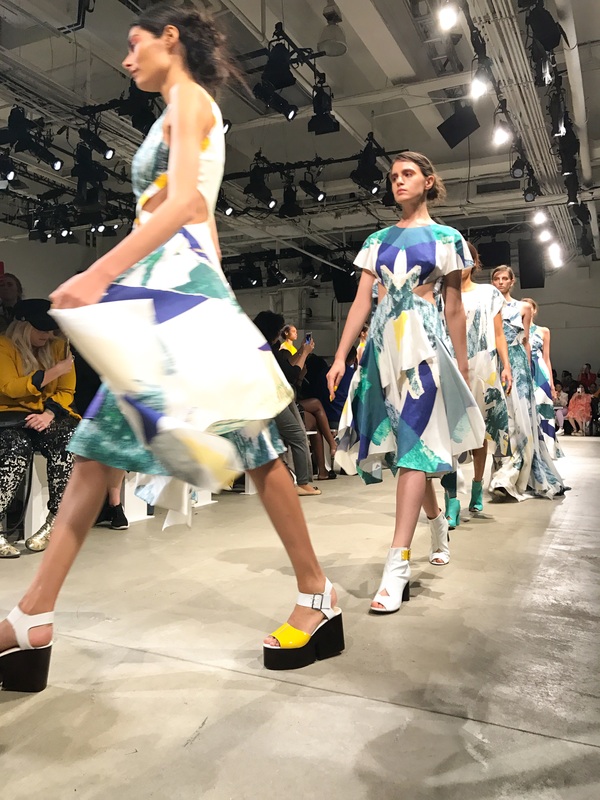 I darted down the street, into the tents at Skylight Clarkson Square, for the Leanne Marshall Spring/Summer 2018 runway show. I absolutely love the designer’s collections, and this was my first season attending her show, which was truly breathtaking. 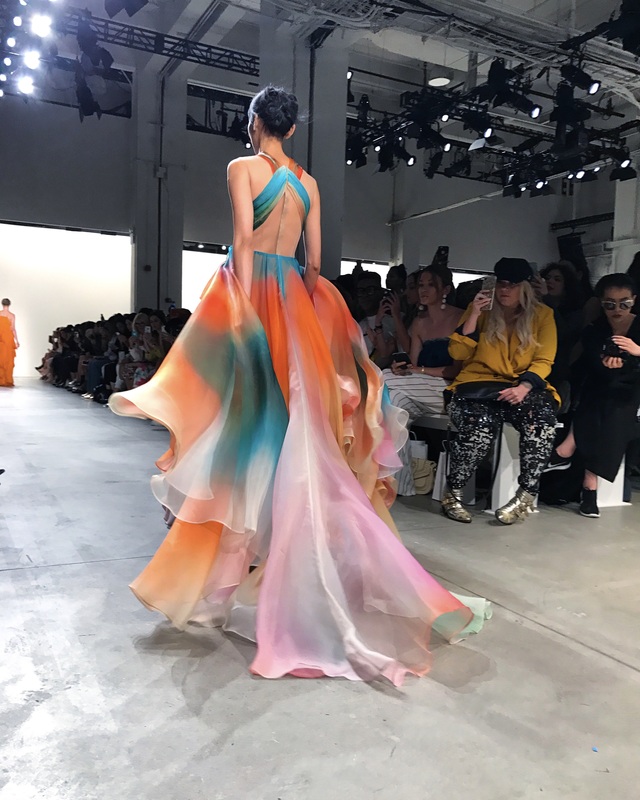 With a stunning array of colorful evening gowns, each of the models glided down the runway with grace, as the gorgeous fabric, cascaded behind them. I loved each one of these statement silhouettes. 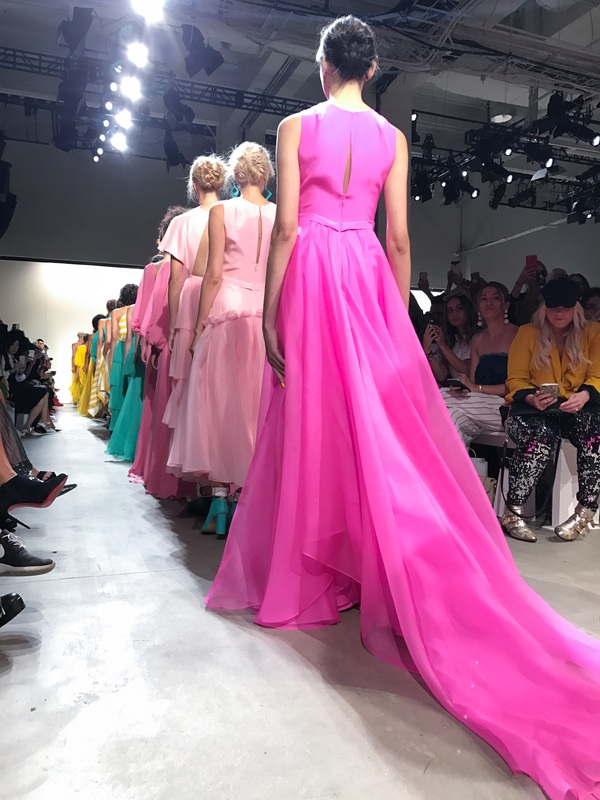 The color palette used in the collection was absolutely stunning as well, with bursts of pink, green, and yellow. These were my absolute favorite pieces, and each one was even more glamorous than the next. It’s safe to say, Leanne’s presentation was a showstopper! I’ve posted my favorite looks from the show below. Which is your favorite? Tell me!